NEGROMANCER 2.0: VIZ Media Announces New Girls' Love Title, "Sweet Blue Flowers"
VIZ Media Announces New Girls' Love Title, "Sweet Blue Flowers"
San Francisco, CA – VIZ Media, LLC (VIZ Media), a premier company in the fields of publishing, animation distribution, and global entertainment licensing, delivers a poignant story about young girls’ romance and friendship with the release of SWEET BLUE FLOWERS on September 19th, 2017. Manga creator Takako Shimura debuted in 1997 with the one-shot Boku wa, Onnanoko (I’m a Girl), a collection of short stories about queer youth. She is widely known for her stories focusing on LGBTQ topics. Wandering Son was a featured selection on the 2012 YALSA Great Graphic Novels for Teens list and also spawned a 12-episode anime series. 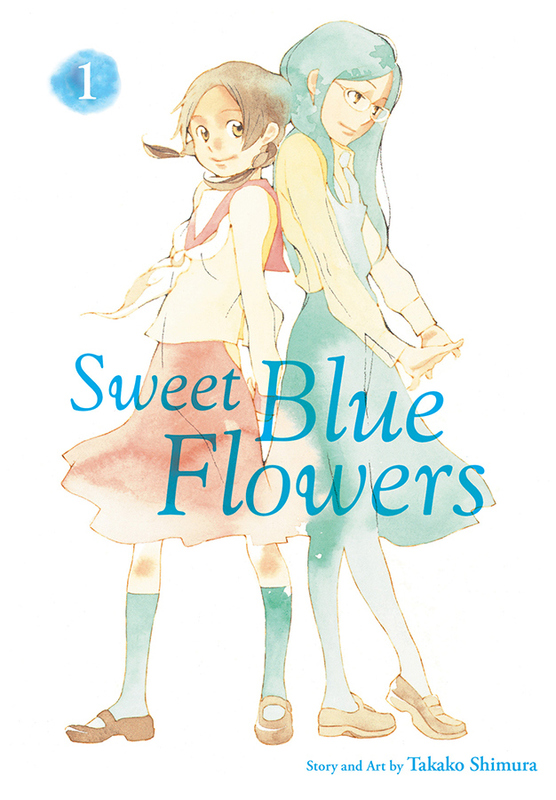 Shimura’s landmark yuri (girls’ love) series Sweet Blue Flowers was adapted into anime in 2009.